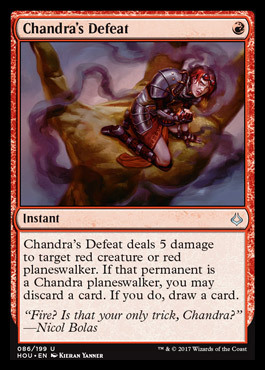 Chandra's Triumph deals 3 damage to target creature or planeswalker an opponent controls. 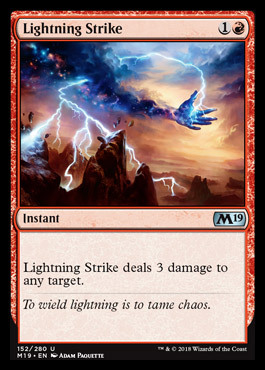 Chandra's Triumph deals 5 damage to that permanent instead if you control a Chandra planeswalker. Her triumph camenot from achieving her ideal self, but from rejecting the idea of perfection.